Slamming an increasingly authoritarian rule in Turkey, main opposition Republican People’s Party (CHP) Chairman Kemal Kılıçdaroğlu said during an address in Parliament on Monday that anyone can be arrested at any time in Turkey. Delivering a speech as part of budget deliberations in the legislature, Kılıçdaroğlu was highly critical of the emergency rule that was imposed on the country following a botched coup on July 15. Immediately after the coup attempt, the ruling Justice and Development Party (AKP) government initiated a massive purge, arresting, detaining and dismissing tens of thousands of people while profiling family members of the alleged coup suspects and seizing private property on charges of terrorism as well. On Dec. 2, the state-run Savings Deposit Insurance Fund (TMSF) announced that a total of 691 companies have been seized by the government due to alleged links to the faith-based Gülen movement. Recalling examples of the human tragedies of the purge, Kılıçdaroğlu said there is no longer a guarantee of life or property in Turkey since anybody can be arrested at any time. According to Kılıçdaroğlu, judges, including Constitutional Court judges, hand down verdicts under fear of arrest. “Turkey has no rule of law,” Kılıçdaroğlu said in Parliament, claiming that it has become an intelligence state. The main opposition leader also noted that the government can arbitrarily seize private property. Kılıçdaroğlu said the fight against the coup has gone off the rails of the rule of law and turned into one person’s rage and hatred, in a veiled reference to President Recep Tayyip Erdoğan. Erdoğan has held the Gülen movement responsible for the coup from the very beginning since the putsch provided him with a golden opportunity to expand a witch-hunt he initiated against the movement at least as early as December 2013. For Kılıçdaroğlu, there is a growing perception in the world that a counter-coup is taking place in Turkey since the country officially stated at the United Nations that coup suspects would not be treated according to the rule of law. Questioning the official narrative of the failed coup, Kılıçdaroğlu asked why a prime suspect of the coup, academic Adil Öksüz, who is allegedly linked to the Gülen movement, was let go by a court while even ordinary citizens are arrested on coup charges. Kılıçdaroğlu implied that Öksüz was protected and released while others who were caught with him near Akıncı Air Base on the night of the coup are imprisoned. Kılıçdaroğlu claimed that Öksüz received special treatment by the judiciary. The CHP leader also called the Gülen movement a terrorist organization, “FETÖ,” as the government refers to it, while criticizing the government for not taking precautions against it when the National Security Council warned the AKP government during its first term in office. However, Kılıçdaroğlu was critical of what he called the collective punishment of sympathizers of the Gülen movement as he said that even spouses of people who have been imprisoned or dismissed over Gülen links are profiled and not able to find jobs even in the private sector. Further criticizing the climate of fear that the AKP has created in the country, Kılıçdaroğlu referred to 146 journalists in jail as of December and said that academics are also being silenced. The number of journalists under arrest in Turkey varies as even the Justice Ministry stated last week that the exact number could not be determined. Most of the figures shared by journalist associations do not include imprisoned reporters from the state-run public broadcasting company TRT as they are officially considered civil servants. 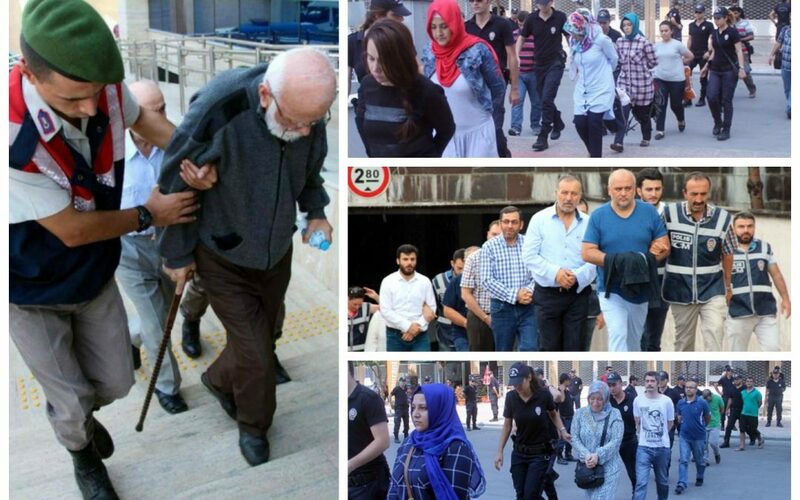 As part of the massive purge, according to Turkey Purge, which keeps a tally, the government of Turkey has arrested 39,775 people, dismissed 3,843 judges and prosecutors, sacked 6,337 academics and arrested at least 145 journalists on coup charges. This article originally appeared in Turkish Minute on Dec. 5.